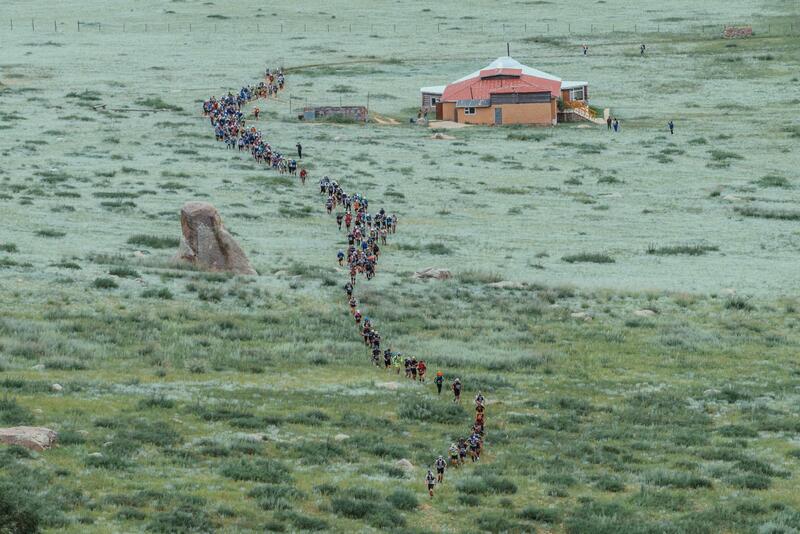 The Gobi March course is located in the Karakorum region in Central Mongolia. 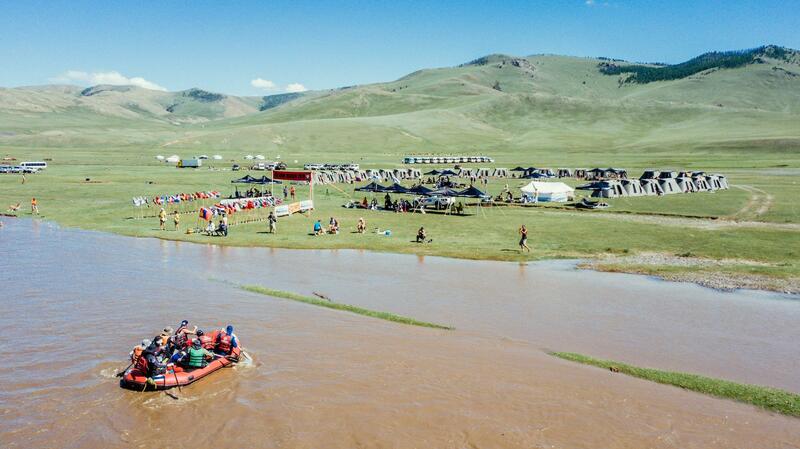 The course takes you through vast green grasslands, stupas and temples, sand dunes, great rock valleys and old forests, while competitors will at times sleep in traditional Mongolian yurts. The Long March will take you through wide Mongolian steppes as you make your way towards the UNESCO World Heritage Centre of the Orkhon Valley Cultural Landscape and further to the ancient city of Karakorum, the former capital of Genghis Khan’s empire. 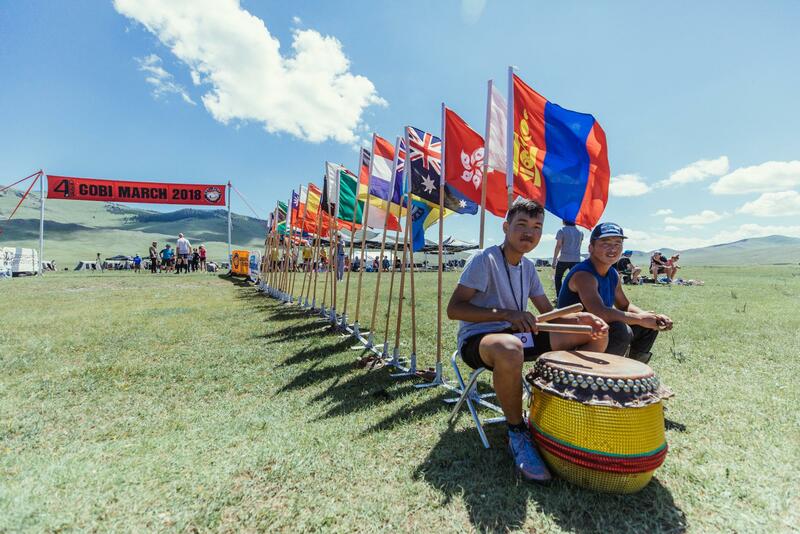 You can also experience the colourful culture of the Naadam Festival, held during the time of the race. 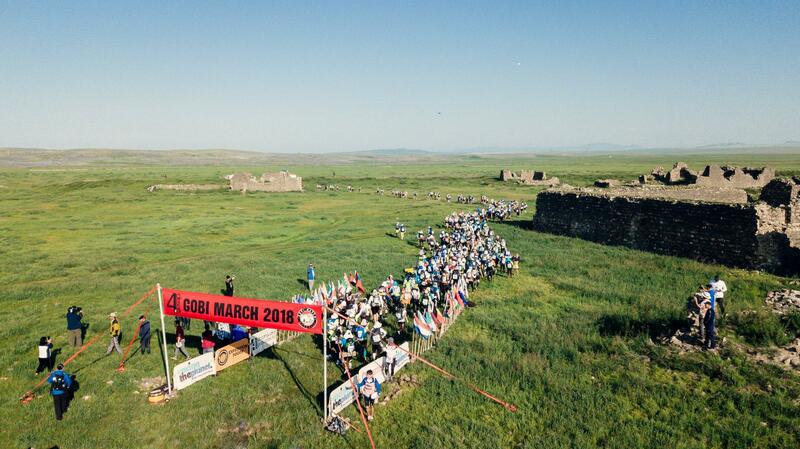 The total distance of the Gobi March (Mongolia) is 250 kilometers / 155 miles over six stages. The distances of each stage are listed in the box below. Note that all distances are approximate - the exact distances will be provided in the course book that competitors receive at Competitor Check-In in Ulaanbaatar. *NOTE: all distances are subject to change. The Gobi March (Mongolia) course has a total of 4,450 meters / 14,600 feet of elevation gain and 3,825 meters / 12,550 feet of elevation loss. The lowest point of the course is at 1,015 meters / 3,330 feet and the highest point is just under 1,765 meters / 5,791 feet. The 250-kilometer / 155 mile course will take competitors through beautiful landscapes, rough terrain and unique culture off the beaten track. The course is primarily on tracks, trails and off-road. Terrain will consist of a combination of grassland, fields, soft sand and dunes, rocky terrain, river beds, gravel tracks, river crossings, climbs and descents. The course does not include technical climbing. Please note that adverse weather conditions and other factors can result in changes being made to the course. 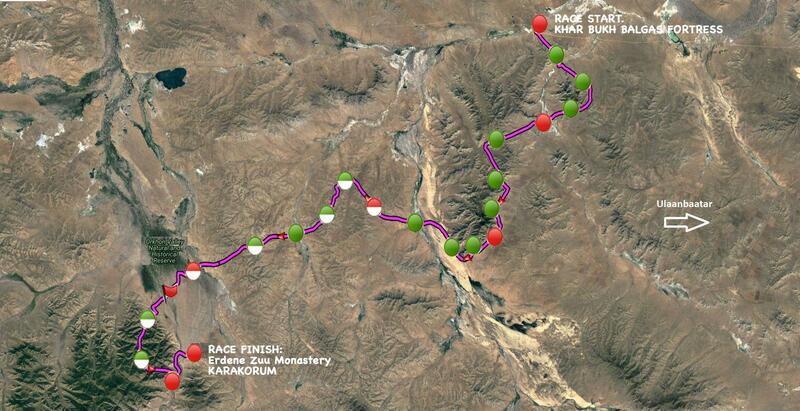 The much-anticipated long stage in all of the 4 Deserts Ultramarathon Series events is known as The Long March. Generally, this stage is between 60 and 100 kilometers (37 to 62 miles) long, roughly double the length of the previous four stages. 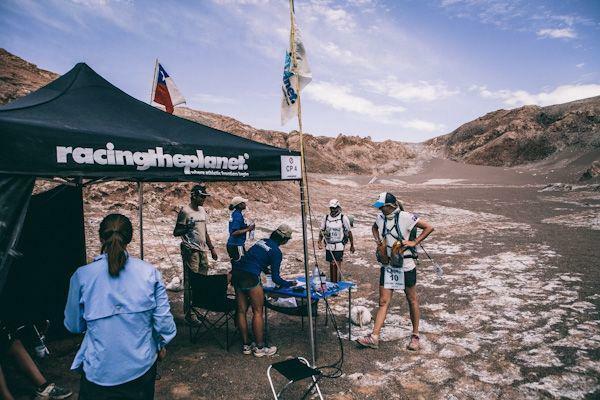 The stage follows much the same format as the previous ones: checkpoints are located about 10 kilometers (6 miles) apart; however, many competitors will take the opportunity (the only one in the week) to have a few hours of sleep at a designated Overnight Checkpoint.